Line a 9”x 9” baking pan with plastic wrap. Mix the yogurt, honey, vanilla, and CARNATION BREAKFAST ESSENTIALS® Powder until well combined. Pour mixture into pan and smooth the top. Gently press pistachios and raspberries on top of yogurt, then sprinkle acai powder on top. Place in freezer for at least 4 hours or until yogurt is completely frozen. 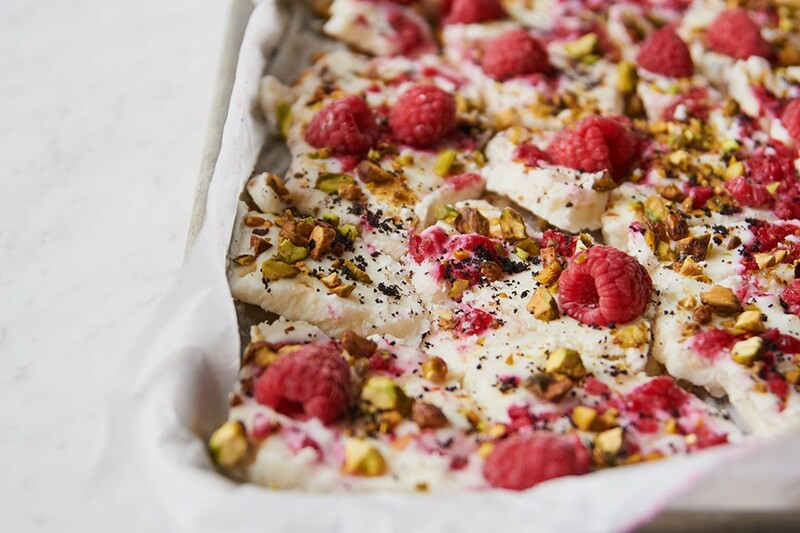 Serve immediately by removing yogurt bark from pan and plastic wrap. Use a sharp knife to cut bark into pieces.